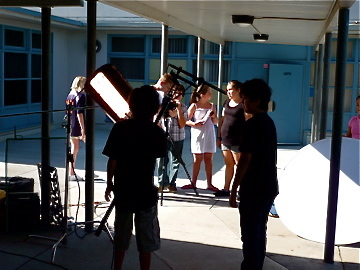 Students from Biola University’s Cinema and Media Arts department shared their passion for film making with middle school students as part of an ongoing collaboration with neighboring Hutchinson Middle School. 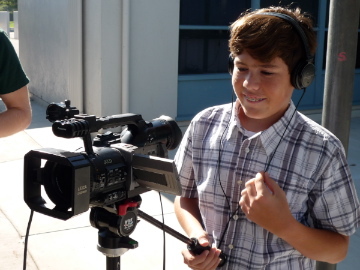 Over the course of a week Biola students helped seventh and eighth grade students create and produce four short films. CMA majors, seniors Shelbey Hunt and Hannah Roberts, junior Andrew Staver, and sophomore Cody Wagner, and 36 students from the middle school’s Gifted and Talented (GATE) program participated in the event. Students were divided into four groups, each teamed with a Biola CMA student and a Hutchinson teacher to advise and assist. 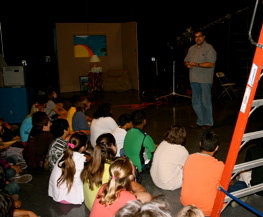 Students had the unique opportunity to learn about a different aspect of film making each day from creating a good story to designing a set, including professional video production and lighting. 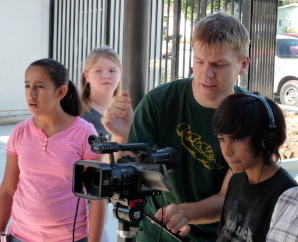 Students, alumni and CMA staff assisted the young filmmakers to write and create four-minute films about Hutchinson. 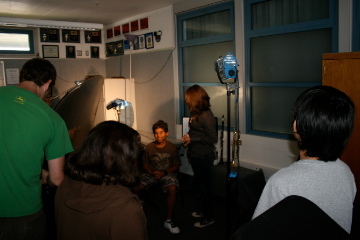 The films were shot on Hutchinson’s campus in La Mirada and on sets that the students designed and built themselves at the CMA studios. 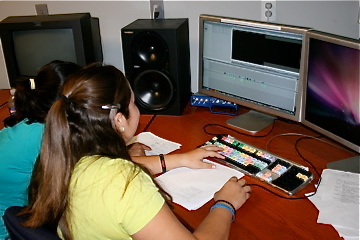 They were able to experience post-production work editing visuals, music, and adding credits to create the finished product. Gerald Fisher, associate professor in the CMA department, organized the program that was the brainchild of former Hutchinson principal Bob Easton and current principal Sara Siemens. 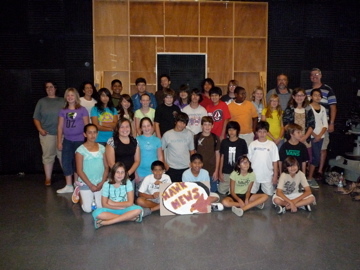 The program is part of an ongoing collaboration between Biola and the Norwalk/La Mirada school district. Biola’s School of Education has also had many students do field work and student teaching within the district as well as volunteer tutoring. School of Education Dean June Hetzel said the program is beneficial. It was a learning experience not just for the Hutchinson students but for the Biola students. 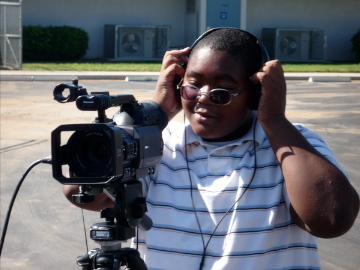 The films were showcased at Hutchinson’s Back to School Night on Sept. 15, 2009. Also according to Siemens each student received a DVD of all the films and the films will be shown to the superintendent as well as the school board. Written by Katherine Smith, Media Relations Intern. 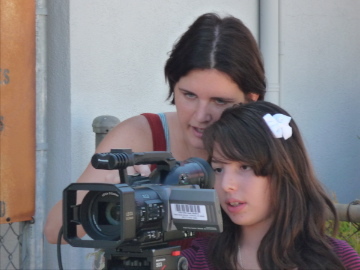 Jenna Bartlo, Media Relations Coordinator, can be reached at (562) 777-4061 or through email at jenna.l.bartlo@biola.edu.